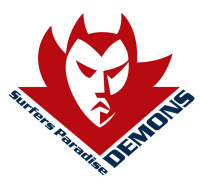 Join AFL teams from the Gold Coast to as far north as Port Douglas. The tops clubs on the Queensland coast are looking for fresh talent to join the ranks each year. Many have salary caps for 1st and 2nds and or game based incentives. Register your interest for a confidential chat about a move north. Register your interest with SunshineFooty and we can help make the right connections to move into a new team and life in Queensland. With average winter temperatures ranging from 20-25 degrees and more sun in a season than get in one year. Enjoy footy at it's best. 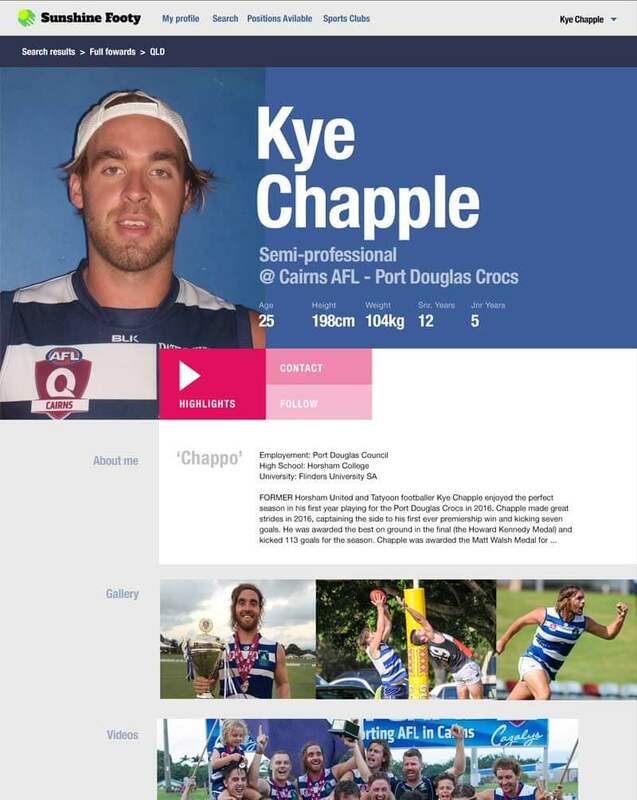 Build an online sporting profile, showcasing your talent through video highlights, photos, playing history and game stats. Sunshine footy can help with work introductions, finding accomodation and sound advice on making the move north with your family. Get out of the parents house or look for a change of scene. Sunshine footy can help with re-location and connections. Rents are cheaper than those in southern cities/towns. Make a change to a better lifestyle alone or even better grab a bunch of mates and come for a year. Many players of all standrads are required at all times of the year. Bring your family for a season as a break from the norm. Don't be left wondering what it's like to pay more games in better weather and better outdoor lifestyle for your Kids. Frustrated playing in your current position or not getting enough gametime? Meet with teams ready to offer you plenty of opportunities in prove yourself. Living in Broadbeach, Trinity Beach and Port Douglas or other coastal regions, you're close to the beach, reef and rainforests. The best of it all. Some clubs will offer per game and incentive payments across multiple grades. Make a change to a better lifestyle alone or grab a bunch of mates and come for a year. Many players required at all times of the year. Get out of the parents house or look for a change of scene. Sunshine footy can help with re-location and connections. Rents are cheaper than those in Melbourne, Adelaide and Hobart. Come for a season as a break from the norm. Don't be left wondering what it's like to pay more games in better weather, better lifestyle and meet 40 new mates. Come for a season as a break from the norm. Don't be left wondering what it's like to pay more games in better weather, better lifestyle. Blue collar jobs are traditionally easier to find in the areas of Cairns, Port Douglas and North East Queensland. Chippies, sparkies, plumbers, plasterers and other trades are common place jobs as well as tourism. Check out the following sites for details. Through Sunshine footy and the clubs, there will be community contacts which you can also call upon for introductions. Our Queensland clubs will assist you and your family with transitioning by providing accommodation in a hotel or our player network initially. That may result in permanent accommodation (where the residence has a spare room), and as a temporary measure (if you prefer to retain your own house). The goal is to ensure that you don’t incur unnecessary expense when you first move to Queensland by providing a period of free accommodation. 1) To provide athletes with their own unique marketing platform to highlight their skills to potentially interested parties. 2) To provide clubs, coaches and sports management organisations with a specialised pool of AFL recruits. Maybe they need to get out of home, away from the city, out of a relationship, keen for more game time? Let them know there is new possibility.